The 78 meter long ferry Midsland was reported aground on a sandbank near Terschelling, Netherlands damaging the vessel’s shaft. 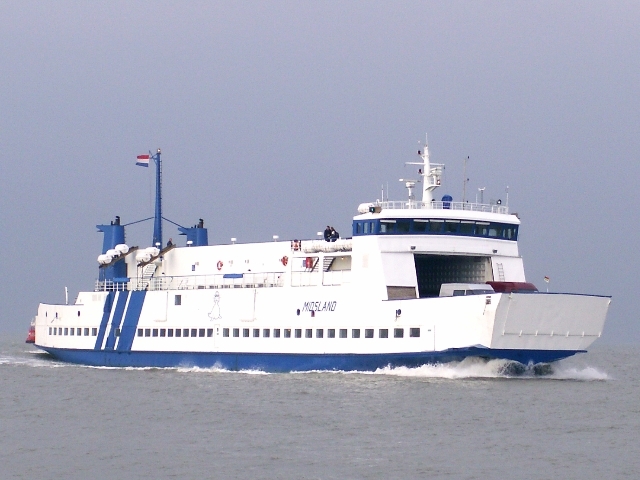 The ferry was hauling only freight on its route between Terschelling and Harlingen. There were no passengers on board during the incident. Reports state the area where the Midsland grounded had not been dredged and has been become dangerously shallow. Owners of the ferry stated the Midsland would be quickly back in service. 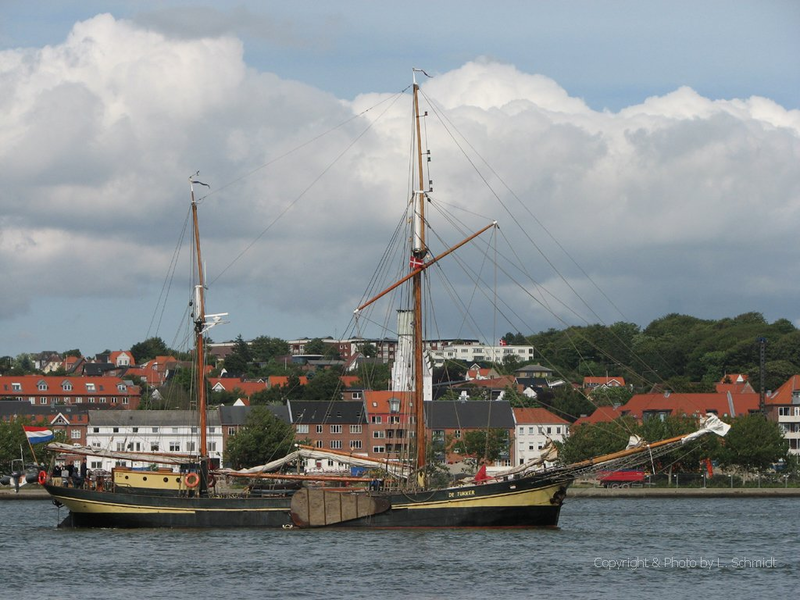 The 131 foot (40 meter) clipper (Schoeneraak) De Tukker went aground while attempting to enter Amble Harbour, United Kingdom. Reports state the crew didn’t realize it was at low tide and didn’t have enough clearance over the sandbank. No one was injured. The RNLI was able to pull the De Tukker into deeper water. The De Tukker is a training vessel used in a program to help trouble youth. 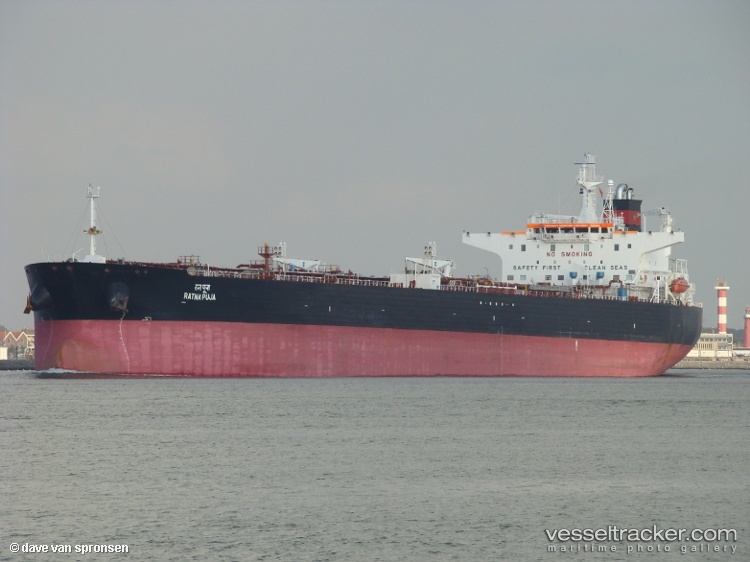 The 800 foot long tanker Ratna Puja went aground on the Mississippi River near the area called Head of Passes, the area where the Mississippi River breaks into several fingers into the Gulf of Mexico. The tanker had left Plaquemines Perish with a cargo of carbon black oil and was heading southbound towards the gulf when it became stuck. Tugs were able to pull the tanker free a few days later. Reports state the vessel suffered no damage and no oil was released. Authorities stated the Mississippi River has an irregular channel due to the the large amounts of mud and sediment carried from earilier flooding. The Army Corps have 5 dredges in operation in the area and draft restrictions may be enforced.